Licensed To – Sanctuary Records Group Inc.
"All tracks administered by BMG Music Publishing International Ltd.
(P) 2006 The copyright in these sound recordings is owned by Iron Maiden Holdings Ltd. under exclusive license to Sanctuary Records Group Inc. for the territory of the United States. 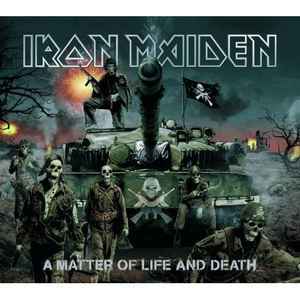 (C) 2006 Iron Maiden Holdings Ltd. manufactured and distributed in the USA by Sony BMG Music Entertainment." Flat rate shipping in the US. Any format. Any number of items. Stock up!